The hamburger never goes out of style. In fact, over the years, gourmet cuisine has taken it and made it something we crave even more and love for it’s dramatic or subtle variations. If you’re wondering what exactly we’re referring to, just make a stop at any one of San Francisco’s best restaurants serving up the most delicious burgers. On our burger tour, you’ll find simple classics served with lettuce and tomato alongside creative masterpieces topped with everything from 100 proof whiskey to bacon jam. Enjoy! 4505 Burgers & BBQ is the restaurant for 4505 Meats where you can find their sustainably raised, whole animal meats prepared artfully for the best taste and texture. Equipped with one of the area’s last remaining historic wood-fired barbecue pits, they offer burgers, barbecue and even vegetarian options — but you have to taste the cheeseburger. It’s called the Best Damn Grass-Fed Cheeseburger for a reason! Zuni Café has been a San Francisco favorite since it opened in 1979. Through the years and the upscale changes it has been awarded again and again. In 2003, it even won the James Beard Foundation Award for Outstanding Restaurant. And in 2015, the burger was ranked #18 in the entire country and the best in SF by The Daily Meal! You can get the grass-fed burger during lunch on grilled rosemary focaccia with aïoli. 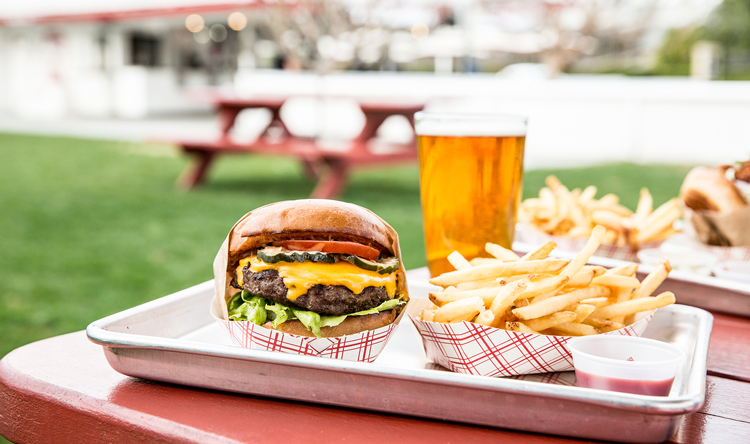 In previous years, Gott’s Roadside won The Daily Meal’s best burger in SF. This classic burger recipe hasn’t changed much since Gott’s went by the name Taylor’s Automatic Refresher and we’re grateful for that because it’s one of our favorites! The one-third-pound Niman Ranch burgers are served medium-well and topped with American cheese, lettuce, tomato, pickles, and secret sauce on a toasted egg bun. Before you get to taste it, it’s pressed to perfectly steam the bun and keep the base crisp. Yum! Everything at Black Sands is open — the kitchen, the brewery, the bar — so you can see just how seriously they take crafted food and beverage. 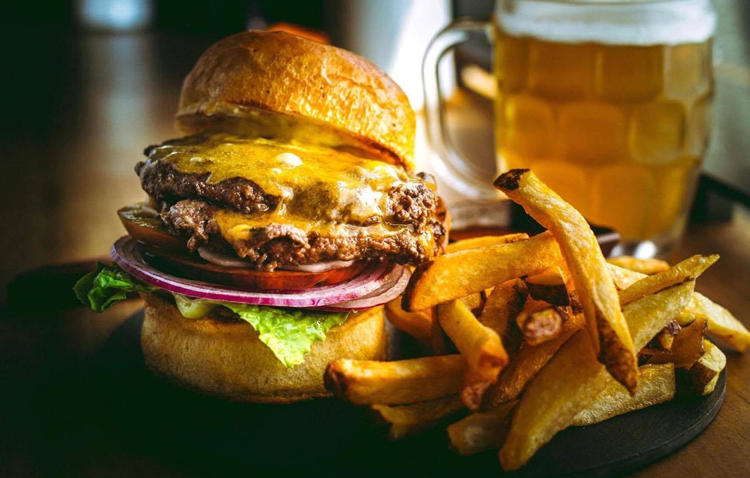 If you’re searching for the perfect pair, look no further than a craft brew and the Black Sands Burger served simply with shredduce, American cheese, tomato and special sauce. Chef Ryan Scott’s menu is filled with American comfort food prepared with ethnic influences that have become a mainstay of the Bay Area’s culinary scene. His Finn Town Burger is no different. You can get it as a double stack or order the vegetarian porcini quinoa option. Both are must-try for meat and veggie lovers alike — and you’ll never regret the perfectly crisp fries on the side! Huxley’s comfort food menu changes with the week and the season. This mix of familiar and new inside a warm, neighborhood atmosphere creates a restaurant experience you’ll want to try again and again. And when you do, taste The Hux Deluxe. This burger is 4 oz. of dry-aged chuck, a bacon wheel, fried onion, American cheese, frisee, pickles and MSG aioli on a house made seeded onion dill bun. Chef Chris Kronner’s burgers became famous during his year-long pop-up at Bruno’s in the Mission. Today, you can get a variety of his artfully crafted burgers in Oakland — and you won’t regret it! Everything from the mayo to the pickles to the buns are made in house to create a burger experience you’ve never felt before. 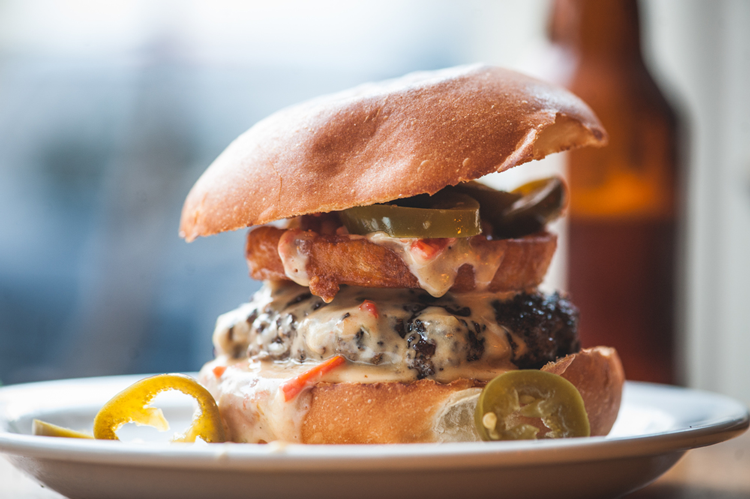 Order the famous KronnerBurger and be sure to get an order of onion rings with calabrian chili mayonnaise too! The goal at Maybeck’s is to create a menu of straightforward and seasonal fare with just a hint of smoke. And that translates perfectly to the classic Maybeck’s Burger. The prime Flannery Beef burger comes simply with cheese and herb aioli and a side of rosemary fries. Add an upscale touch with a classic cocktail and you’re ready for an unforgettable meal! When you think of Mezcalito, you may not think burger — but you should. The Mezcal menu pairs perfectly with both the classic southwestern fare and the gourmet burger. Oozing with gouda, the patty is topped with caramelized onion, lettuce and tomato on a potato bun. Don’t pass it by! Every single burger at Popson’s is made to order so you’re guaranteed a fresh, delicious meal whether you want the veggie option or one of five gourmet choices. And, if you want the delicious french fries as a topping, order the off-menu “Big Von” Burger, a signature double cheeseburger topped with seasoned fries. To get the full experience at this upscale, artistic bar, pair one of the best Bay Area cocktails with The Saratoga Burger. With taleggio cheese and slaw served on top of an onion bun, the subtle flavors and varying textures create a gourmet taste with high-end flare. Though WesBurger does serve delicious fried chicken and a few other gourmet classics, the burgers are the clear standouts. If it’s your first time, order The Hot Wes with onion rings, queso, and pickled jalapeños and be sure to get a side of Deluxe Tots! Whitechapel is famously a destination for gin lovers, but don’t skip the bar menu next time you stop by! The Routemaster Burger is a double patty slider served with white cheddar, horseradish aioli, tomato marmalade and optional fresh jalapeño gratis. Coincidentally, it pairs perfectly with gin! Causwells is a neighborhood bistro focusing on shareable meals made with local and seasonal ingredients. Start with a plate of Hush Puppies for the table then order the Americana Burger for yourself. The Causwells sauce drizzled over the patty puts this simple burger over the top! 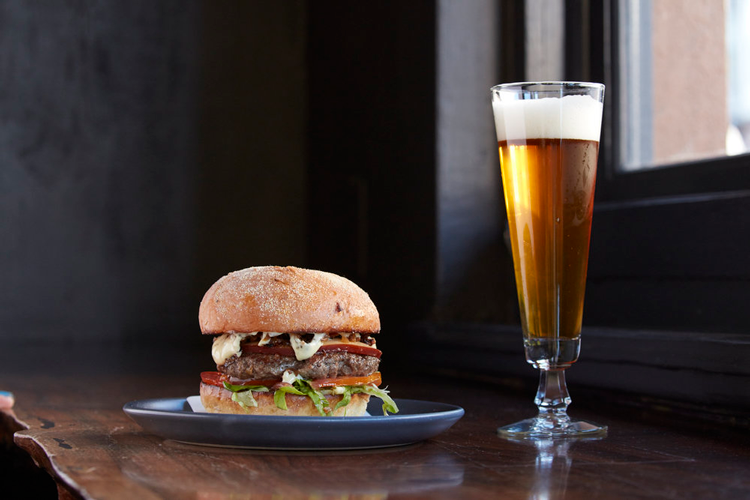 Inspired by a classic butcher shop, Marlowe’s meat-centric menu and creatively designed interior are the ideal setting for one of SF’s best burgers. The caramelized onions, cheddar, bacon and horseradish aioli complement the crisp, juicy patty perfectly. Inside Cafe du Nord’s charming nightclub atmosphere, you’ll find craft beer, impressive whiskey lists, artful cocktails and a menu filled with comfort food classics from across the country. If you’re sitting down for a hearty meal, order the Burger du Nord. Though it’s served simply with sharp cheddar, lettuce, pickles and secret sauce, the flavors are mouth-watering! Old Bus Tavern has the feel of a warm community kitchen and the best way to settle in is with a craft beer and gourmet burger. The revolving, seasonal menu keeps things exciting and ensures a new taste experience every time. It’s delicious, rich Mexican food; it’s cash only; and it’s serving up to-die-for burgers. Garaje goes over the top with every item on the menu, then pairs it with a craft beer you probably won’t recognize (but will definitely love). Settle in at a barside booth, order Dave’s Double and get ready for one of the biggest and best meals you’ve had in awhile. 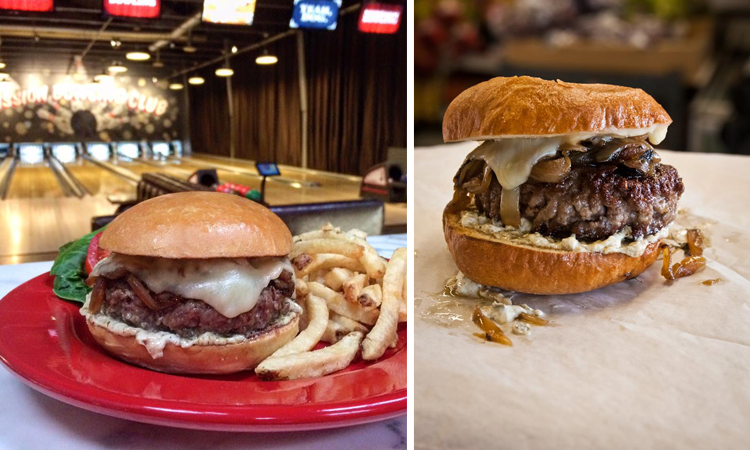 Mission Bowling Club mixes boutique bowling with award-winning food. Filled with comfort food classics made with locally sourced, seasonal ingredients, everything on the menu is a good choice. But for something out-of-this-world, get the Mission Burger — you won’t regret it. Of all the SF burger joints in all the world, Sam’s is the most important for native San Franciscans. Since 1966, they’ve been serving up their comfort food classic simply — with cheese, lettuce and tomato on a sesame bun. The best part is, you can get it daily until 3 a.m. So stop by next time you’re celebrating a late night in SF. 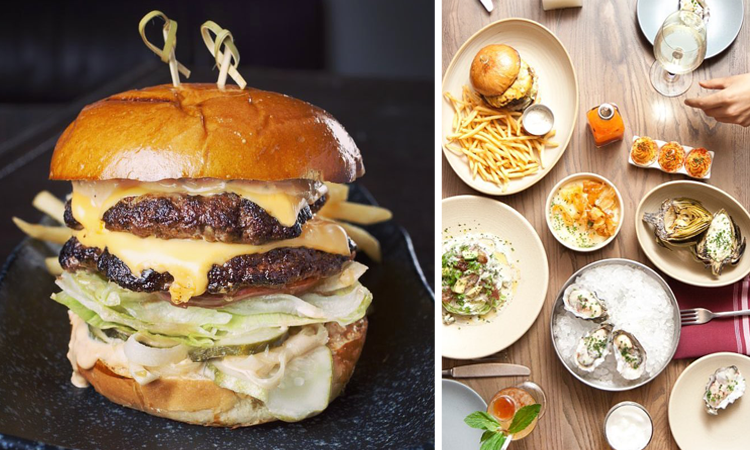 Spruce is an upscale neighborhood restaurant serving everything from caviar and octopus to pastrami sandwiches and, you guessed it, the Spruce Burger. It’s only available at lunch and it’s accessible to every palette, but the high-end details are definitely felt. The patty is made with a blend of brisket, short rib and sirloin from Bassian Farms, then served on a housemade English muffin bun. Add taleggio il Caravaggio cheese or foie gras to kick it up even more. 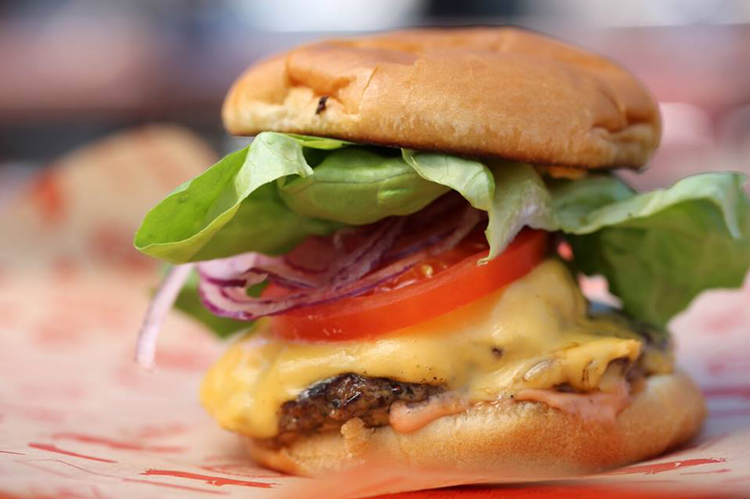 You can now find Super Duper Burger in ten locations across the Bay Area. But through the years and the growth, it has always lived up to its name. Order the original Super Burger for two 4 oz. patties made with sustainably-raised, local beef. It’ll come with the famous secret sauce, then top it with whatever your heart desires! Photo courtesy of Belcampo Meat Co.
Belcampo is a farm, a processing plant, a neighborhood butcher shop and a restaurant. Basically, if you’re craving meat in any form or a hearty, crafted meal, it’s the go-to place in SF. 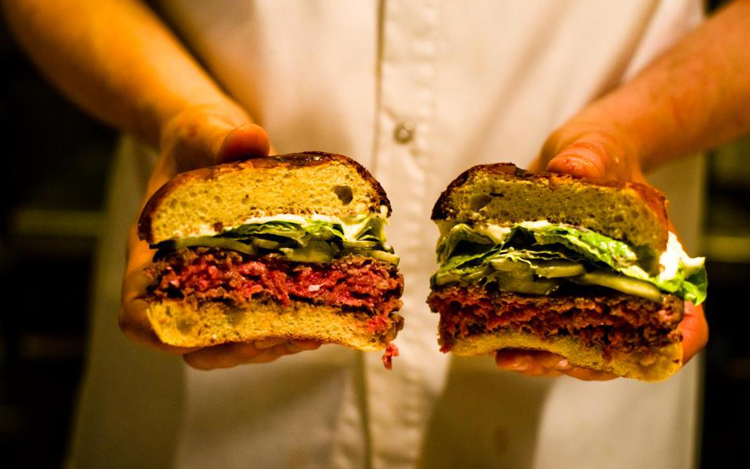 Their organic and compassionately raised meat not only makes you feel good about what you’re eating but it becomes one of the must-try burgers in the city. If you want the ultimate experience, opt for the 100 day dry aged beef burger with raclette cheese, aioli, mustard, watercress and 100 proof whiskey at $25. 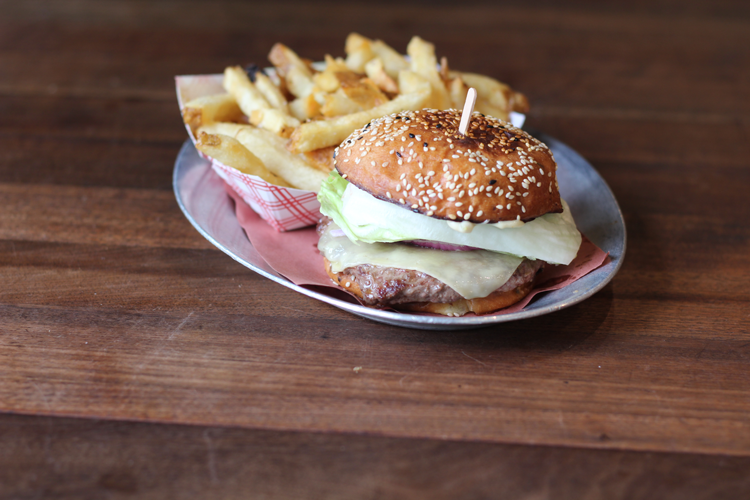 You’ll find Nopa on most restaurant lists for the Bay Area, so it’s no surprise they make our burger list as well! 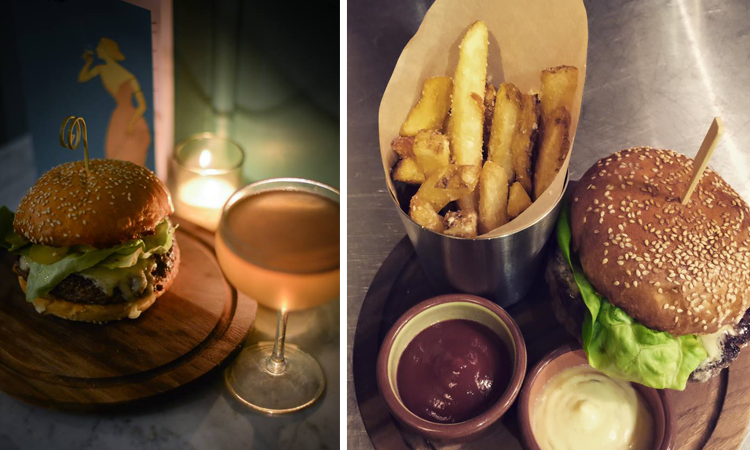 Their simple menu, focus on sustainable ingredients and creative kitchen results in a wood grilled burger served with pickled onions and optional cheddar cheese. It’s a simple concoction you’ll come back for again and again. Namu Gaji is inspired by family, community, sustainability and constant creativity. The vegetables and Asian herbs are grown on their own farm and all the other ingredients are purchased from local purveyors. Though the menu of Asian-inspired, original dishes may not have you craving a burger, you would be missing out if you didn’t try it. The double beef patty is served on a housemade bun with bacon jam, cultured butter, pickled daikon, onion and dijon. Let us know which stop on our SF burger tour is your favorite. And if we missed your go-to spot, let us know!